The Baughan family ran their hardware shop from these premises from at least 1890. John Baughan was born in Cheltenham in 1829 and lived here with his wife and family. His daughter Elizabeth assisted her father in the shop. John owned several properties in the area, including 3 Exchange Buildings where he was living at the time of his death in 1899. His daughter Elizabeth inherited the business, continuing until 1907 when she sold it to John Fisher, a well known Cheltenham name. The Fisher family had been ironmongers since the middle 1800s. Their store in Winchcombe Street had been established for some time when they bought this shop for their Bath Road branch. This part of John Fisher Limited only stayed here for about 5 years. In 1912, John Fisher joined with Thomas Sharpe to become Sharpe and Fisher. Between the wars, this building was a Chinese laundry with a succession of owners. 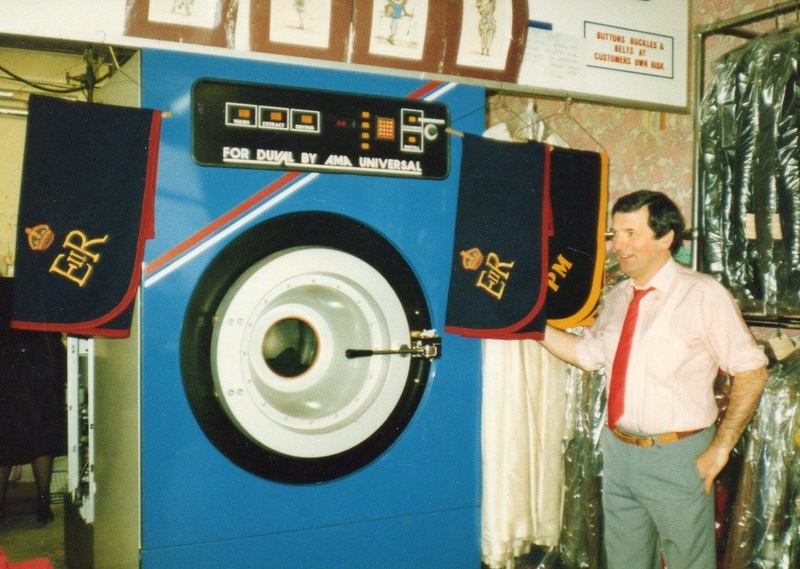 Fondly known as The Bagwash, your weekly wash could be taken there and picked up later freshly laundered. From the late 1930s a succession of grocers traded from here and amongst them was Sugar King, which opened on 14th January 1936. 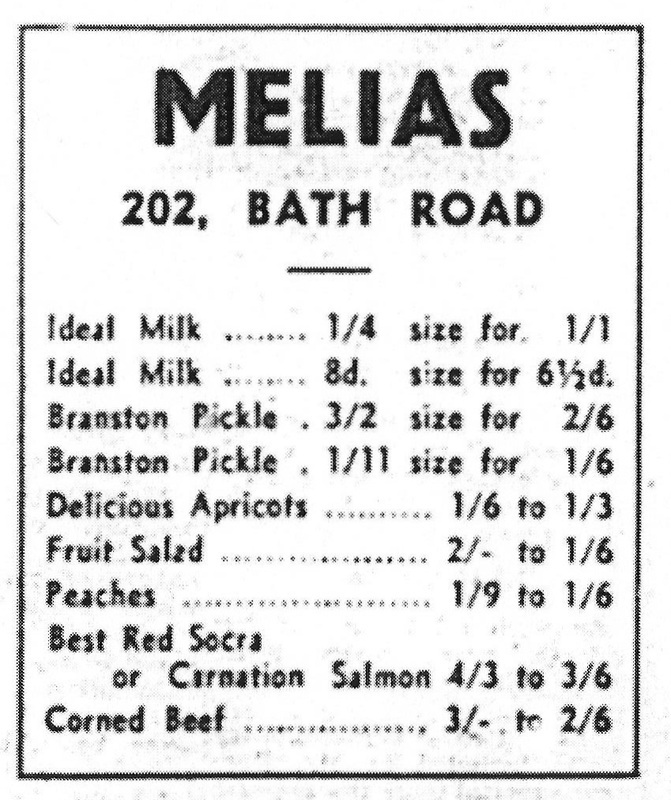 These shops catered for the less well off folk, providing own label products that were cheaper than brand names. Many bargains were to be found including broken biscuits at 6d (2 ½ p) a bag. During the sixties another grocery chain, Melias, were here. They were well known for their own-brand tea and also had shops in other parts of the town. By the end of the 1960s, the cleaners were back. 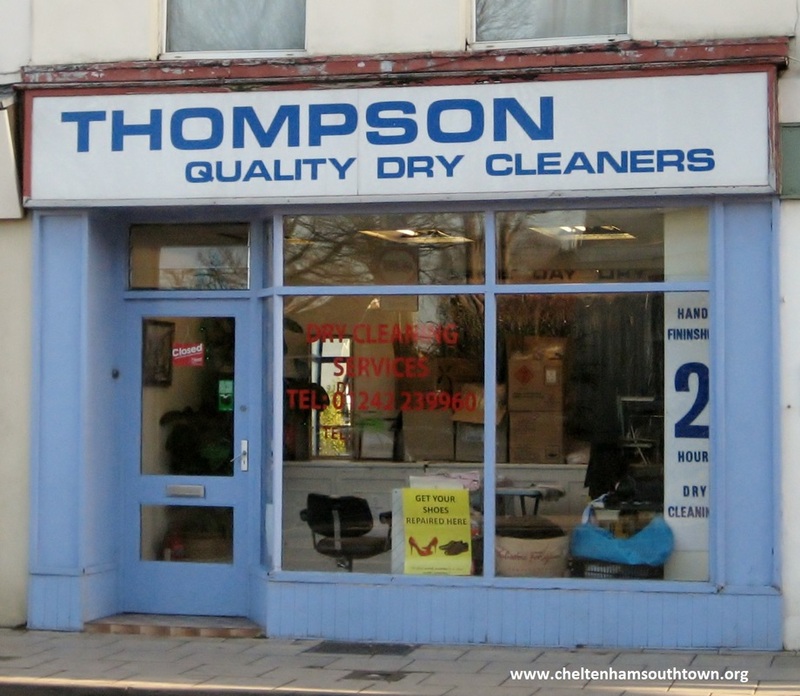 The first was The Sunshine Cleaners and then, since 1976, Thompson Dry Cleaners, founded by Pat and Ivan Thompson. Ivan was originally from Belfast and they lived in Lambourn in Berkshire, a centre for horse-racing. Amongst various contracts, they had one from the Queen for dry cleaning horse rugs, another for jockeys and trainers racing-silks and one from the US Air Force base at Fairford. 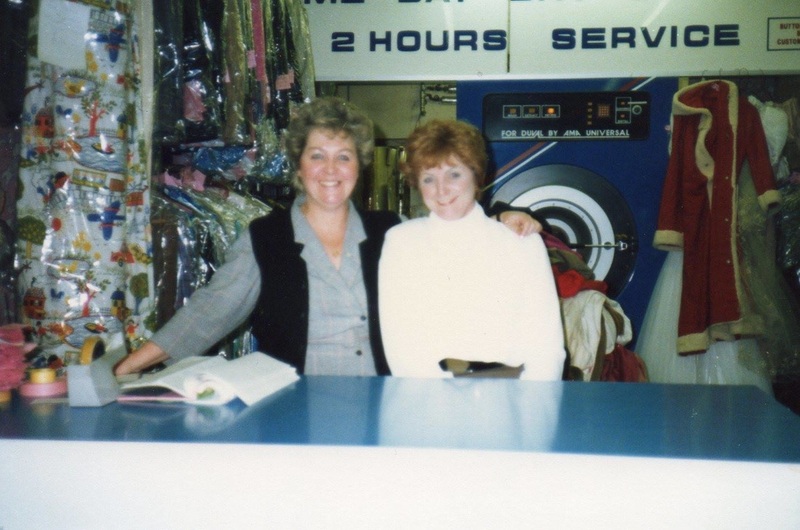 The Thompsons were helped in the shop by Glenda Kelsall and Anne Fisher.